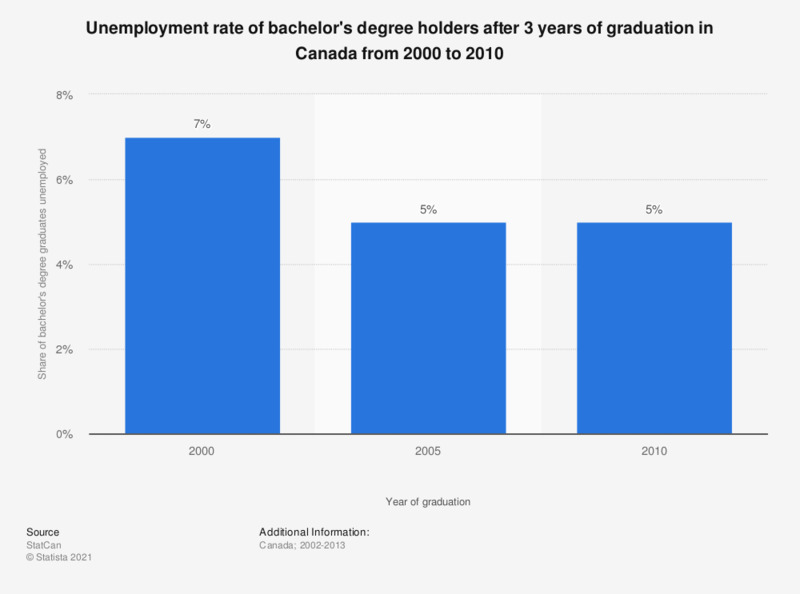 The statistic shows the unemployment rate of bachelor's degree graduates in Canada from graduation year 2000 to 2010. 5 percent of those who graduated in 2009/2010 with a bachelor's degree in Canada were unemployed three years after graduation. Data does not include graduates who pursued further education after their graduation. The 2009-2010 survey was conducted three years after graduation, whereas previous National Graduate Surveys were conducted two years after graduation.